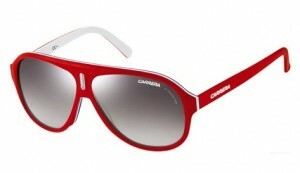 Carrera Sunglasses Of The Week: The Carrera 38! Discover Fashion Eyewear’s top pick for the Carrera sunglasses of the week! The Carrera 38 is this week’s model to be featured on Fashion Eyewear’s Carrera sunglasses of the week. Why? Well, the design of the sunglasses are modern and cool. Function, safety and comfort are main reasons why the brand started developing eyewear, and because they are much cheaper than you may think! The Carrera 38 is super stylish and ultra modern. It’s a unisex model which makes it appealing to both men and women. The sport-inspired look of the 38 model is part of the brand’s identity, reflecting its racing heritage. The teardrop ‘aviator’ style of the model is current trend that fashionistas and trendsetters have known about for quite a while. If you are new to fashion trends and you’re not too sure what style would suit you, an aviator frame is the best choice as it suits every face shape. These sunglasses are produced from a special type of plastic known as Optyl plastic. The material is 20% lighter and stronger than standard plastic frames. The price of a Carrera frame on average cost the same as a pair of high-quality jeans from Topshop. If you’re looking for designer eyewear that’s really affordable, this is the right brand for you. Who says that only the rich can afford to wear designer? Even celebrities love affordable designer items! Brad Pitt, Halle Berry, Kanye West and Lady Gaga are all Hollywood celebrities that we’ve seen constantly rocking the brand’s sunglasses. 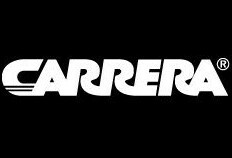 For a leading designer brand, Carrera doesn’t try to appeal to people who are into glamorous styles or luxurious eyewear with heavy price tags. Instead the brand is more targeted to young, fun-loving individuals who love to experiment with their style but never holding back their personality. This brand originally started out in the mid 1950′s developing eyewear for racing drivers. The brand holds on to its heritage by making it their identity; when people think of Carrera, they instantly think of racy, sport-inspired eyewear.